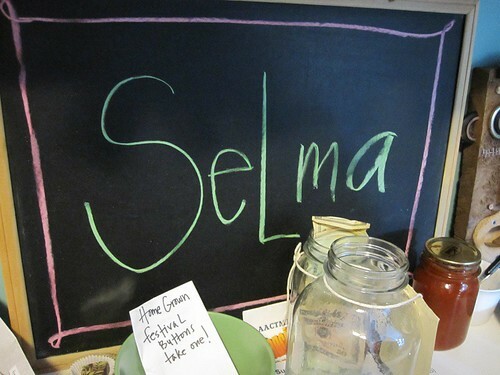 Not to be outdone by all the pop-up private supper clubs around, a family in Ann Arbor has started ‘Selma’, a Friday morning breakfast club from 6am-10am*. Like most of these outfits, Selma doesn’t do any traditional advertising or marketing and is thriving by word-of-mouth, but that doesn’t stop it from being very very busy. My friend and I got there about 9, a triumphant feat considering I had drunkenly collapsed into bed about 3:30 that same morning. The place was hopping. We were given nametags and were asked to wait a few minutes while they cleared off a place for us to sit. 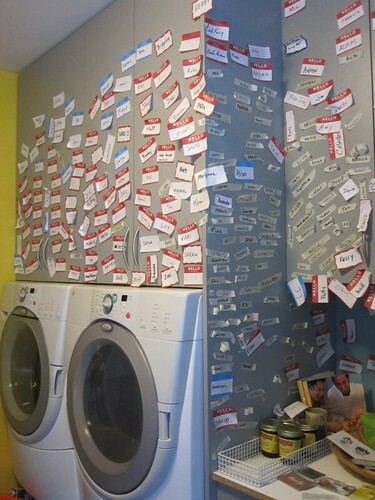 In the laundry room, the cupboards were covered with nametags of past visitors. Really cool. 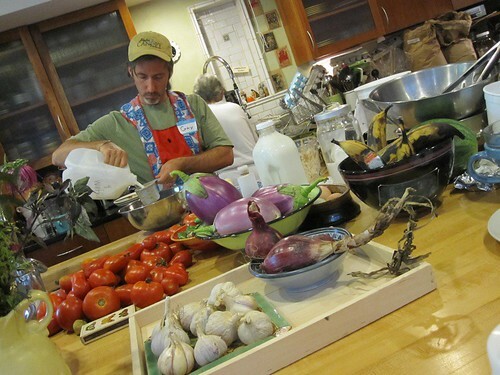 About 10 minutes later we were sat at the kitchen island in full view of the cooks furiously labouring over the savoury-sweet goodness. We had a choice of four entrees, but at least two of them ran out during the course of our meal. I went for the frittata, my friend, the waffles. The waffles were pretty good. 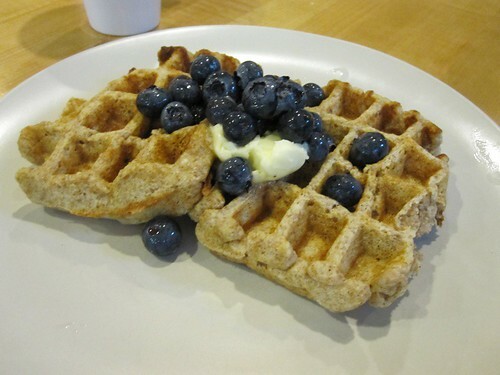 Freshly made and with nice blueberries. My frittata on the other hand had been sitting around quite some time. 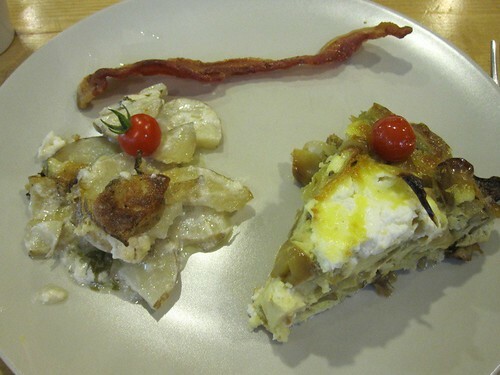 One piece of cold bacon and even colder way-too-oily potatoes did not make up for it at all. It was like eating the last piece of everything at a buffet. I paid the lower end of the suggested donation of $10-$15. I paid it happily because I love the idea and I want to see it survive, but if I was in any normal restaurant, I might have scoffed a tad bit. *I can’t remember the exact address, but the house is at the Eberwhite on the right before you get to the school. There’s a sign out front and chickens in the back.